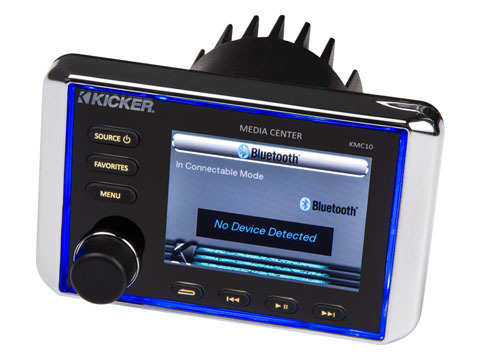 The KMC10 features up to 200 watts of built-in power, AM/FM/Weather Band, charging USB plug and two sets of RCA outputs. This Media Center is custom made for life on the water! 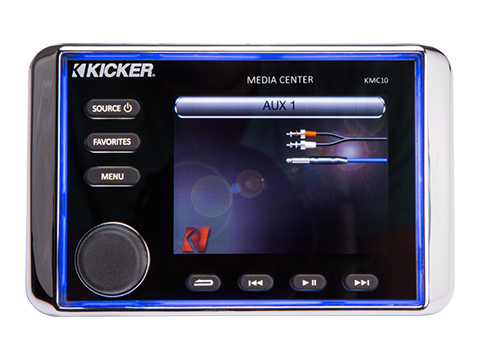 Your KMC10 comes with AM/FM and Weather Band radio, but that’s just the beginning of the adventure! 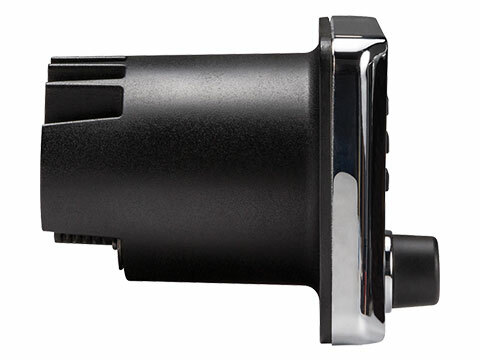 Stream Bluetooth® audio, use a thumb drive or your smartphone with the onboard charging USB port. On-screen artist, track and title data lets you know exactly who is playing every note. A stereo RCA input allows you to add nearly any other audio device with ease - the system even lets you select a custom name your new source for easy identification. 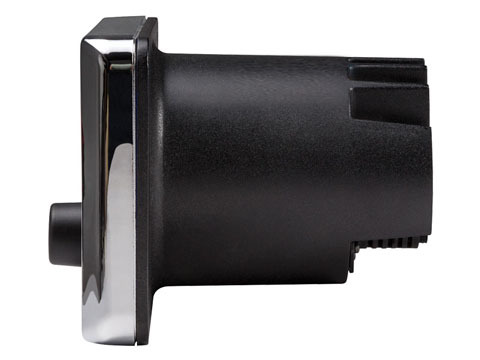 The KMC10 preserves your battery power by automatically monitoring the health of your battery’s voltage. If the juice gets low, your KMC lets you know! The Media Center also features a Weather Band alert system, so you always know when Mother Nature is about to make some waves of her own. Why waste precious battery power, when the KMC never forgets! Even if you disconnect the Media Center from the battery, all of your carefully chosen preferences stay intact. 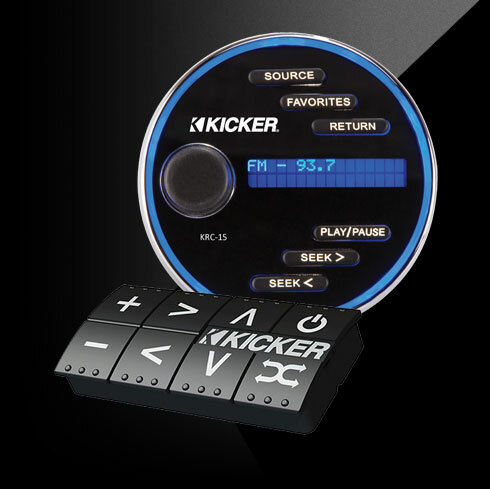 Custom source names, favorites and even radio presets are right where (and how) you left them. With dual source, dual zone control you keep the fun going all around the boat. 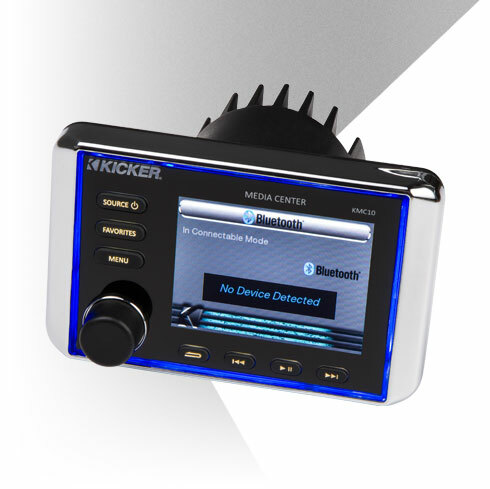 Change the volume on the tower speakers, change the station on the deck, or go from Bluetooth audio to satellite radio everywhere – all with the touch of a button. 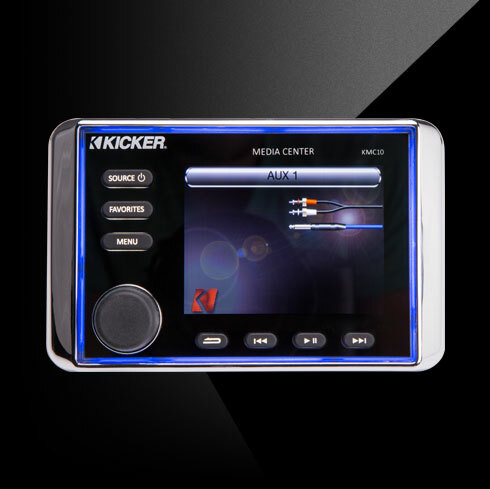 Add the KRC15 Digital Commander Remote, or the PXiRCX Remote for even more control everywhere you need it.